The contract would be the largest in North American sports history, surpassing the $330 million deal Bryce Harper recently signed with the Phillies. 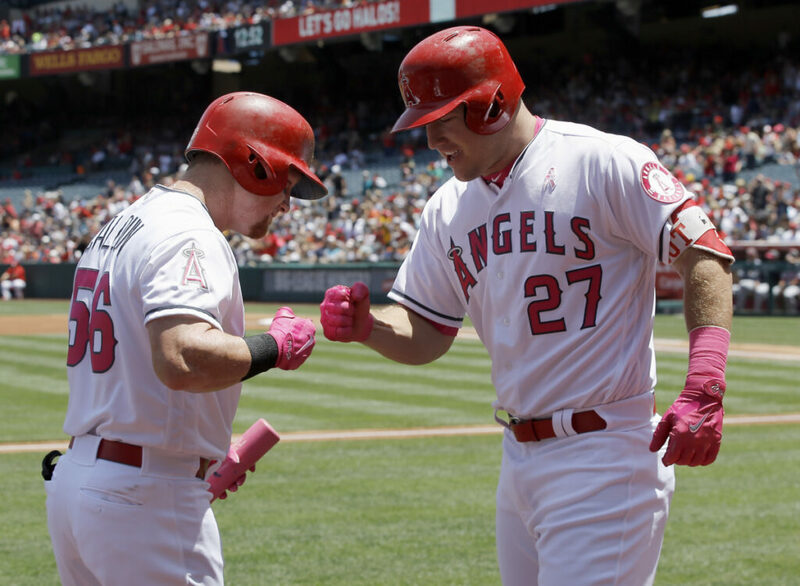 Trout and his wife, Jessica, have made no secret of how much they enjoy living in laid-back Southern California, and the low-key outfielder decided to skip the pressure of free agency entirely. Trout has been an All-Star in each of his seven full big league seasons and hit .312 with 39 homers, 79 RBI, 24 steals and 122 walks last year. He led the major leagues in OPS in each of the last two seasons. Trout has a .307 average with 240 homers, 648 RBI, 189 steals and 693 walks in eight big league seasons. He was voted AL Rookie of the Year in 2012, won the AL MVP award in 2014 and ’16 and finished second in MVP voting four times, tying the record shared by Stan Musial, Ted Williams and Albert Pujols. Big-money deals have not worked out for the Angels in the past. Pujols agreed to a $240 million, 10-year deal before the 2012 season but has not matched his previous performance with St. Louis. Josh Hamilton signed a $125 million, five-year contract before the 2013 season and contributed just 31 homers and 123 RBI in two years with the Angels. YANKEES: Reliever Dellin Betances has inflammation in his right shoulder and will start the regular season on the injured list. GM Brian Cashman said an MRI was done on Betances on Tuesday after he continued to lack velocity in his fastball. Bertances curtailed his offseason throwing program awaiting the birth of his child and was given permission to report a few days late for spring training. He said he will not throw for three to five days. INDIANS: Free agent Carlos Gonzalez signed a minor league contract with the Indians, who just might have an outfield spot for the three-time All-Star. TIGERS: Right-hander Michael Fulmer may need Tommy John surgery. The Tigers said that surgery to reconstruct the ulnar collateral ligament in the elbow has been recommended following an MRI exam and a second opinion from Dr. James Andrews.